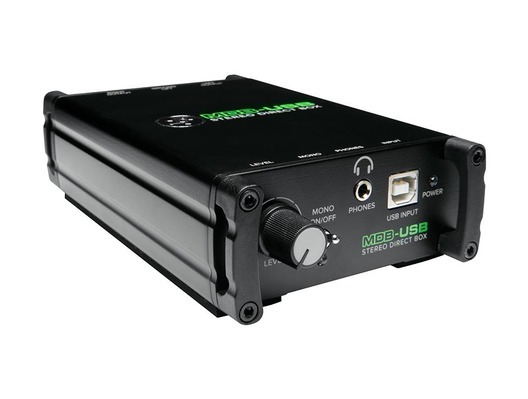 The Mackie MDB-USB is a USB stereo direct box, part of the Mackie MDB DI Box Series. 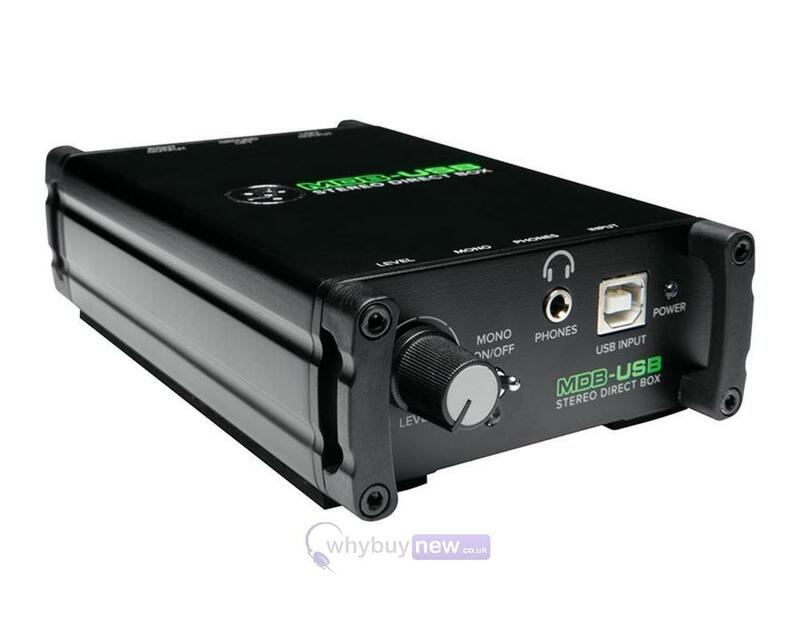 The built-in high resolution 24-bit/96 kHz USB interface allows you to get noise/distortion-free digital audio from your computer straight to a mixer, speakers or studio monitors. Exceptionally straightforward to use, it features a Female type-B USB input for connecting your computer, a 1/8" output jack for connecting headphones, and dual XLR outputs, which are equipped with Ground Lift for reducing ground loop noise. Furthermore, the MDB-USB does not require a driver - the interface will show up on PC and Mac straight away, making for a swift and painless set-up. With the bus-powered MDB-USB Stereo DI, the days of relying on your headphone jack to get audio from a computer into analog gear are over. Combining a high-resolution audio interface with a noise and distortion-free stereo DI, MDB-USB converts your digital audio into clean, balanced, stereo output. Featuring an output level control, headphone output, and mono sum for maximum versatility. Analog outputs are dual XLR with Ground Lift.